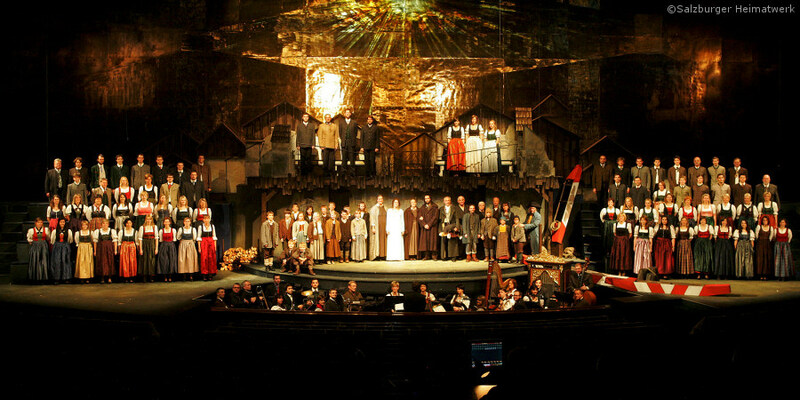 The Salzburg Festival is a mainstay of Salzburg's calendar of events leading up to Christmas. Traditional folk songs, new interpretations and theatrical performances come together each year to form a reflective whole. Get in the Christmas spirit with a visit to the Salzburg Advent Festival – easy to do when you stay at the Gersberg Alm! A trip to the nearby city of Salzburg is well worth it: the Salzburg Advent Festival is sure to get you in the mood for Christmas. More than 200 musicians, actors and singers make the Salzburg Advent Festival a reflective and fun event year after year. Started in 1946 by folk musician Tobi Reiser, this Advent concert has drawn visitors from around the entire world since the opening of the Great Festival Hall in 1960. The crowd favourites, the Hirtenkinder, astound audiences with their sweet voices. Combine your visit to the Salzburg Advent Festival with a trip to the Christmas markets in Salzburg, such as the Salzburg Christkindlmarkt or the Hellbrunner Adventzauber market. Warm up back at the Gersberg Alm after a spirited day in the city of Salzburg. Enjoy a cup of tea and take the time to look back at your fun day. Does this sound perfect? We look forward to receiving your non-binding enquiry!